Back when I used to play basketball regularly, I would go through patches of good form and bad form. There would be five or six weeks in a row where it felt like you ‘couldn’t miss’ — every shot you put up felt like it was going in and often it did. Then there were those weeks where you felt ‘out of form’, where the ball left your hand and you fully expected to hear a clang rather than a swoosh. Those weeks could go on and on and they were painful. What was odd was there wasn’t any way of determining when you’d be on form or off. It wasn’t that you ever stopped being a good basketballer but simply that some days what you did worked and other days not so much. I find the same happens with communication in a church setting, but with one distinct and curious difference. Right now I’d say I’m in a bit of a ‘form slump’ — putting teaching together has been really hard work whereas often it just flows — the creative ideas aren’t sparking and I’m just having to give it the best I’ve got, to hang in until things change. I can’t pick a specific cause or reason. It’s just how it is. In this space I’m struggling to find the inspiration I want and the thought processes are clunking and grinding rather than meshing smoothly. In the sporting arena that translates to poorer performance — games lost and stats down. But curiously in the spiritual arena it’s often when the Spirit does his best work; when I feel like I’m not performing; when my own game is lacking. I’ve been doing it long enough to know that what I think is my best work — the days when I have ‘belted it out of the park’ as preachers say — may not actually be the stuff that the spirit uses, but what I consider awkward and clunky and maybe even ho-hum will often touch people’s hearts in unexpected ways. So I’ve learnt not to worry. Not to panic. 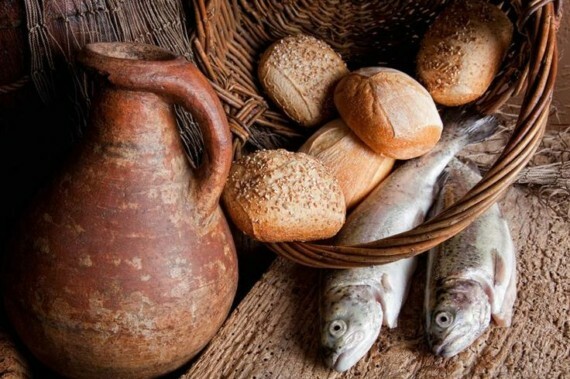 But rather to wonder ‘how will God use this offering?’ Because that’s what it is, an offering of the best I’ve got — five loaves and two fish which he can do something pretty cool with. In my early days of ministry I would have happily ‘subbed out’ during these periods and let someone else take the floor, but these days (while I still don’t enjoy periods of ‘creative constipation’) I actually find myself turning up expectant and curious as to what God will do with the best I’ve got to give. And funnily enough, while in a ‘form slump’ and right at as I was about to hit ‘post’, a message came in from someone who found my Sunday message helpful.